Here’s one you can’t afford to let pass by; one taproom is letting drinkers pay for cider with a single apple! Hawkes Cidery in Bermondsey is introducing a special “apple pay” system this week. All you have to do to claim is present a piece of fruit at the bar and exchange it for a thirst-quenching pint. 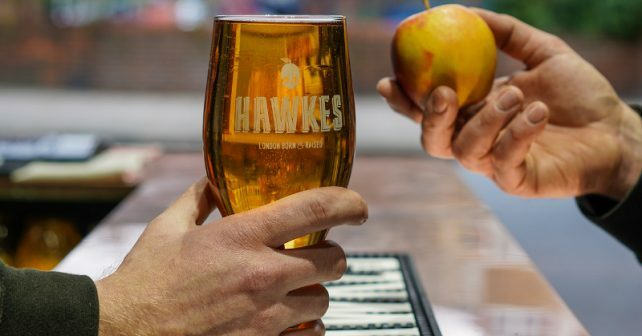 Hawkes founder, Simon Wright says of the scheme, “We want to give Brits who are a bit short of cash a little lift this month and what better way to beat the Winter blues than a pint of top-quality craft cider.” Too true. Bottoms up, London!